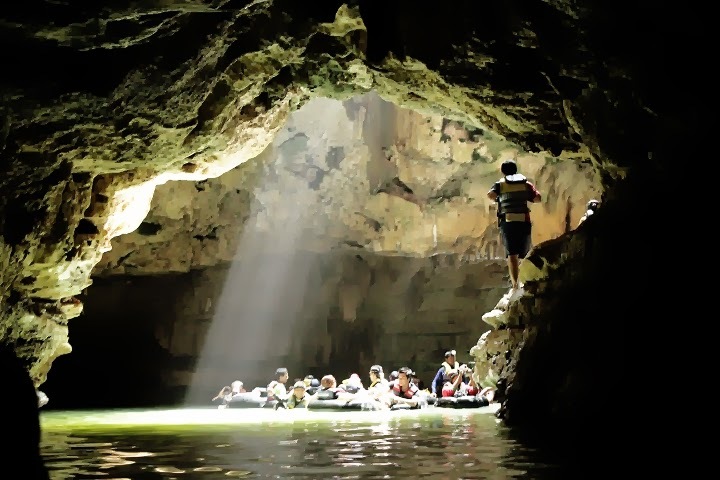 Feel the different sensation of an adventure in the river inside a cave using a tube and a life jacket. While going through the dark valley in the cave that full of stalactites and stalagmites. Besides telling us about the legend of the name of Pindul cave, the guide also told us about some pretty ornament that we find in the activity, such as crystal, moonmilk, stalactites, and stalagmites. A huge pillar formed from the join process between the stalactites and stalagmites which were thousands years old will greet in front of us. On some parts of the top of the cave, we could see natural picture as formation of bats living there. Meanwhile, in the middle of the cave was a place resembles wide pool where visitors usually take a rest, swim, and jump from above.